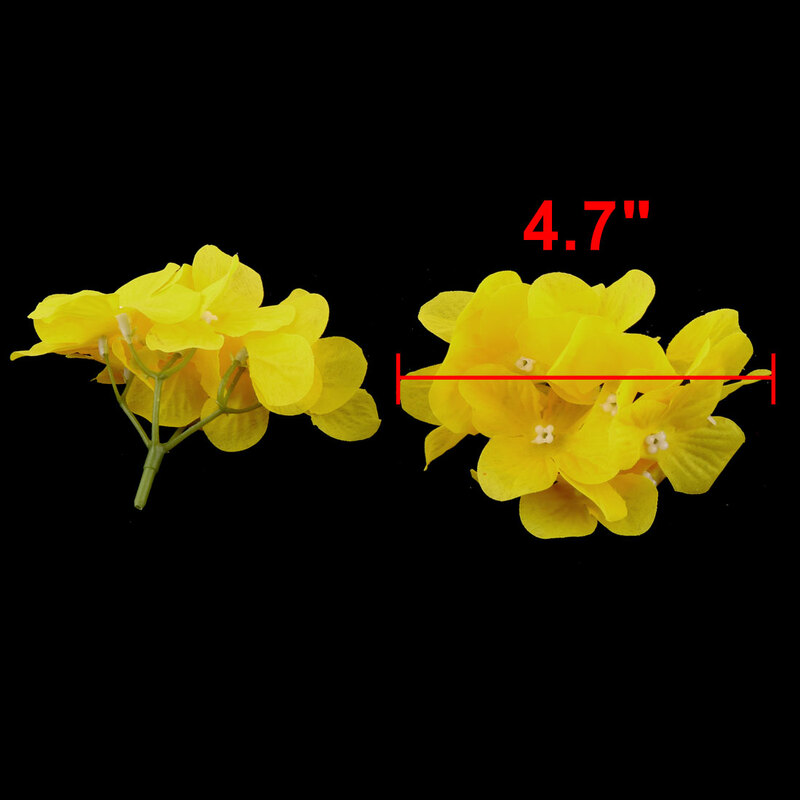 Package includes 10 artificial flower heads, 1 flower head has 4 branches of 12 flowers. This artificial flower heads made of fabric petal and plastic pedicel. Great for embellishing clips, headbands, hats, clothes, scrapbook pages, cards, photo albums, bows, craft projects, weddings, parties, etc. This flower retains spring all year round, remains looking fresh year after year. Great choice for someone who loves handcraft, manual works. Available Color: Red, Pink, Yellow, Purple, Blue, Beige, Pale Green, Hot Pink, Light Purple, Light Green. 1. There is flower head only. 2. Please permit 1-2cm error because of hand measurement. 3. Due to your different monitor setting and lighting, it may has some color difference from the real item. Add more sunshine and greenery to your office, room, kitchen, dining room. This artificial flower head just like real petals but not scented, will not mess up your party. Perfect if you can not have a live plant, but still want to enjoy the beauty of nature. An excellent way to bring natural-greenery into your home without any of the maintenance or mess.